Tree squirrels may only be hunted in select areas and in order to stay on the right side of the law, youll need a resident small game license. Information on where those areas are and how to get a small game license are available through the California Fish and Game Commission. Once you have your license and an area picked out, youll need to gather up some hunting gear. 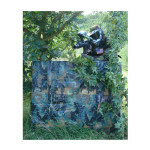 Good, strong tarpaulins will come in handy when you set up your ground camouflage. Just be sure to try and select one that matches your camouflage clothing and general surroundings. Our camouflage tarpaulins are made from a waterproof, HD vinyl and sport the classic green, gray and black pattern. Each one is made with 22 millimeters thick material and weighs a mere 18 ounces. The sizes range from 05 x 07 to 20 x 30. In addition to the camouflage tarpaulins, youll need your weapon of choice, ammo, a game bag and a squirrel caller. When hunting squirrel, remember that having patience and the ability to be as quiet as possible are the keys to success. Of course being in the woods before the sun comes up and avoiding the wind are going to help increase your chances of success too. Signs to look for when you are choosing a stand or still spot are cuttings, middens, droppings, tracks, scratch marks and nesting sites. Trees that tend to yield the best results in that regard are oak, pine and hickory. After you catch your prey, be sure to clean and dress it properly before attempting to turn it into a meal. If youve never done that before, the Missouri Department of Conservation has detailed instructions available that may help you skin, gut and wash your first one. They also have a few good squirrel recipes online as well. To learn more about camouflage tarpaulins and other items that may help you get through the hunting seasons ahead, please contact us today. This entry was posted in camo poly tarp, camo tarp, camo tarps and tagged camouflage tarps on August 28, 2014 by CanopiesAnd Tarps. What many people dont realize is that canvas is actually pure cotton. As such, it can shrink and lose its shape just like that 100% cotton t-shirt you may have sitting in your bedroom closet. Therefore, they should never be fully emerged into water, stuck into a washing machine or tossed into the clothes dryer. In addition, it is important to remember that the majority of canvas tarps on the market today are treated with dyes and special chemicals to suit consumers needs. Those dyes and chemicals also happen to be very sensitive to ingredients used in a large number of cleaners and laundry detergents. As a consequence, its vital not to reach for the first cleaner that you see on the store shelves or underneath of the kitchen sink. What typically produces the best, damage free results are cleaners specifically designed for canvas products. They are manufactured by a number of companies and normally sold through multiple retailers. Some of those cleaners are also capable of gently removing the tough stuff, like mildew and grease. When sifting through the various rows of canvas cleaners, be sure to read the labels too. Just because the label says that it is safe for most canvas items doesnt necessarily mean that it will be right for your beloved tarp. Because of that, it is wise to test the cleaner in a small, out of the way area of the tarp before going whole hog. Otherwise, you could end up deeply disappointed and stuck with a damaged canvas tarp. After cleaning the canvas tarp, hang it up outside to drip dry in a partially shaded area. That way, the risk of the tarp sustaining mildew and UV damage will be significantly reduced. 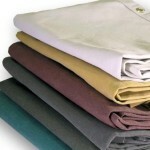 To learn more about choosing and caring for canvas tarps, please contact us today. This entry was posted in canvas tarp, canvas tarps and tagged Canvas Covers, Canvas Tarps on August 28, 2014 by CanopiesAnd Tarps. What could be more perfect than a slab of prime beef smothered in mushrooms? Um.nothing if you plan on celebrating National Prime Beef Month and National Mushroom Months arrival on the same night. We suspect that once word gets out what youre serving, youre going to be bombarded with drop-ins. So youd better set up more than one pop-up tent and plenty of chairs. Wondering what could be as fortuitous as prime beef and mushroom holidays falling in the same month? How about National Chicken Month and National Rice Month taking place at the same time too? Yup, its true. That said, dont forget to make enough arroz con pollo for everyone in the neighborhood and hang a few sombrero string lights on the edges of your party tents. Speaking of chicken, if you are from down South, you might be inclined to like yours with waffles. If thats the case, youll be happier than love bugs in June to learn about the next two holidays on our list. Theyre All American Breakfast Month and National Waffle Week. So plan on serving syrup, chicken and waffles under your pop-up tents from the 1st through the 6th. Those are just six appetite pleasing reasons to bust out those pop-up tents. 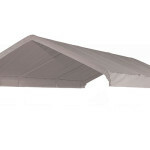 To learn more and stock up on your party tent supplies, pleasecontact us. Weve got tent packages for residential and commercial use on sale as well as folding chairs and tables. This entry was posted in pop up canopies, pop up tents and tagged pop up canopies, pop up tents on August 21, 2014 by CanopiesAnd Tarps. August lazily turning into September should serve as a pertinent reminder. Its time to start thinking about boat storage. If you plan on storing your vessel the same way that most others do, better consider canopy top replacement sooner rather than later. 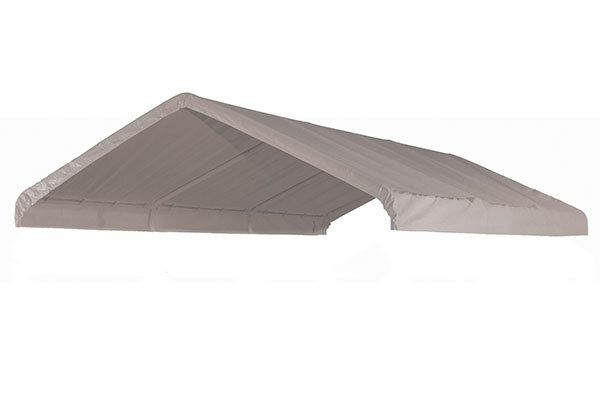 Although we always keep ample canopies in stock, no two storage areas are the same. And custom orders take time to complete. 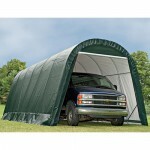 We have standard, valance and canopy enclosure replacements, including ShelterLogic products. Some of the canopy tops are large enough to accommodate a boat and tow vehicle whereas others are best suited to protect the boat. 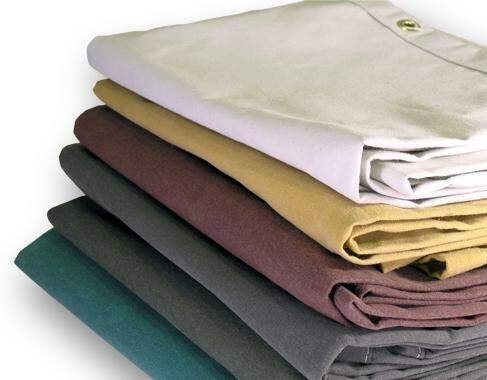 The replacement covers, regardless of size, come in a range of colors and the fabrics are pretreated. So you can count on then to be weather resistant, rot proof, mildew proof and of the utmost quality. After your first-class canopy top replacement arrives and its been put into its rightful place, remember to check the boat for sun damage. With the cooler weather close at hand, its a perfect time to buff out any UV damage to the boats hull and apply a new layer of gelcoat, sun resistant paint or boat wax. Just make sure that you wash the boat first to remove any grime that may prevent the protective chemicals from doing their job and follow the manufacturers instructions. If your vessel has upholstered seating, you might want to clean and protect those too, especially before starting your normal winterization routine. For the best results, use first-rate, quick-drying products that address mildew formation, cracking and fading. Ones that may help are Star Brites Boat Guard, Heavy-Duty Cleaner Wax, Vinyl Cleaner and Polish. Some of them are designed to do double duty, which may save you some serious time. To find out more about choosing canopy top replacements to protect your boat as summer comes to an end, please contact us toll-free or online. This entry was posted in canopy replacement cover, canopy top replacements and tagged canopy replacement covers on August 15, 2014 by CanopiesAnd Tarps. The extended event, in part, is designed to recognize Spanish speaking cultures found in North America, South America, Europe and the Caribbean Islands. As such, a great way to keep the fiesta going is to highlight a different country each day. At present, there are 21 countries that recognize Spanish as their national language and many more where it is simply spoken. Given that, dividing the countries up into groups by continent or hemisphere and setting up booths under one large party tent may simplify that planning process. Another option would be to set up more than one tent and highlight different areas inside of each one. If you do decide to go with the multiple, party tent option, consider choosing ones that match the various countries flags. For example, the flag of Cuba is known to contain sections of white, red and blue. 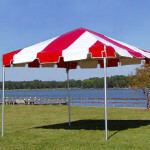 We have decorative party tents that feature solid blue tops as well as those with blue and white stripes. The blue and white stripes are similar to those found on the countrys flag. Once those tents are set up, you could decorate their perimeters with replicas of the flag or white star lights and red, triangular shaped flags. The party tents interiors, on the other hand, could be outfitted with matching chair and table linens. 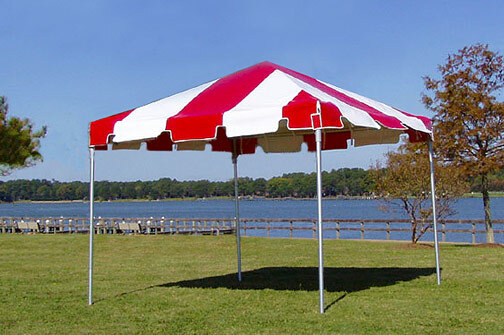 To uncover more party tents that could be used during National Hispanic Month celebrations, please contact us today. Custom models are available. Just make sure that you allow for enough advance notice. This entry was posted in party tent, party tents and tagged event tents, party tents on August 15, 2014 by CanopiesAnd Tarps. Before long, it will be time to stoke the fireplace and gather loved ones around the hearth. And that begs the question, Do you have enough firewood on hand to get you through until March? If you dont, place yourportable garageand firewood cover order now. Then call the local firewood supply company or head out into the woods and gather up some more. Portable garages and firewood covers will help keep your cords of seasoned wood close by and in tip top shape. So it will be ready for the fire when you need it. Our portable garages come with a choice of shapes and sizes. Ourround roofgarages size range starts out at 8 x 8 x 8 and caps out at 40 x 60 x 18. Each one features dual, double-zippered doors and a tie-down system to hold it in place during blustery, fall days. In our experience, the small garages are perfect for holding a cord of wood. The larger sizes, on the other hand, could also hold log splitters,rolling firewood cartsand other related tools or supplies. If you do decide to store a log splitter in the portable garage too, please let us know. We have machine covers and other supplies that you may find favor with too. As for ourpeak roofportable garages, the smallest one that we currently have in stock is 8 x 12 x 8 and its completely waterproof. The largest peak roof model is a jaw-dropping 30 x 28 x 20 and sports a 2-3/8 all-steel frame thats build for heavy-duty situations. You may want to invest in it and use the extra space to store your hunting and winter recreation equipment. To learn more and place your portable garage or firewood cover order before the weather turns frigid, pleasecontact usat Canopies and Tarps today. 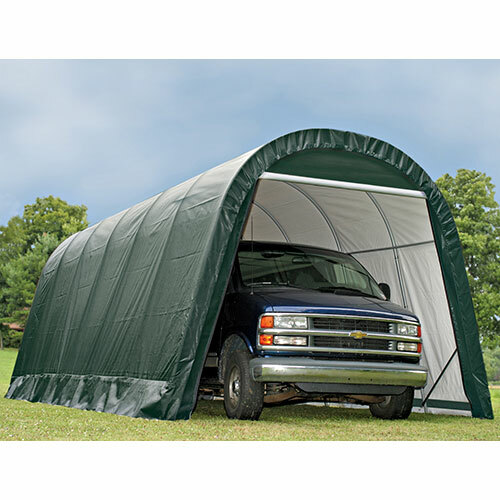 If you act now, youll have your portable garage and covers before the autumn leaves fly. This entry was posted in portable garage and tagged instant garage, portable garages on August 7, 2014 by Canopies Tarps.